Touch Red Probe with E terminal & Black Probe with B Terminal , if multimeter showing reading means Transistor is ok. 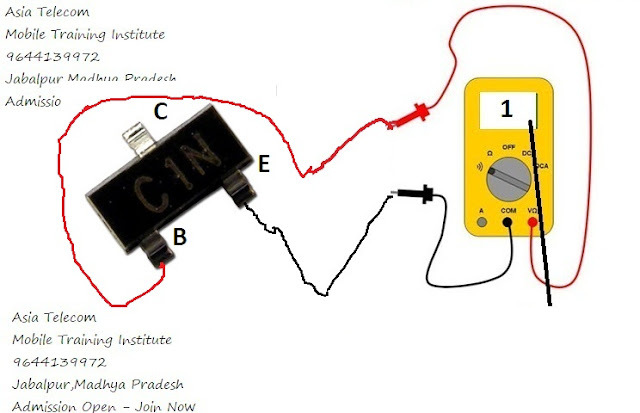 Check again with revers probe if no reading showing means transistor is ok and its PNP Transistor. Touch Black Probe with E terminal & Red Probe with B Terminal , if multimeter showing reading means Transistor is ok. Check again with revers probe if no reading showing means transistor is ok and its NPN Transistor. IF No Reading Show means Transistor is Open. Come means Transistor is Short.